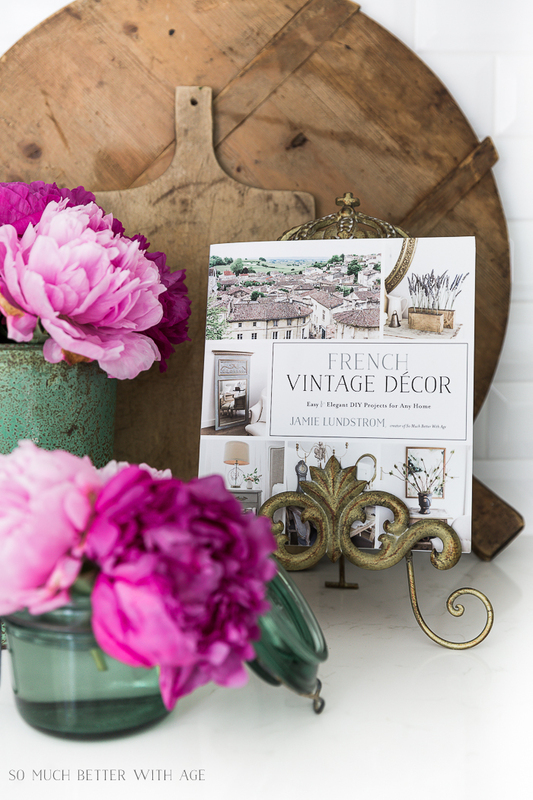 Enter for your chance to win a copy of my book French Vintage Decor today! 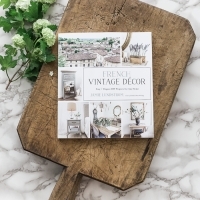 Today I’m giving away a signed copy of my new book, French Vintage Decor, that includes 70 DIY projects that you can do at home. It’s being released in just 4 days and I’m amazed at the response it’s getting! Be sure to enter at the bottom of this post. 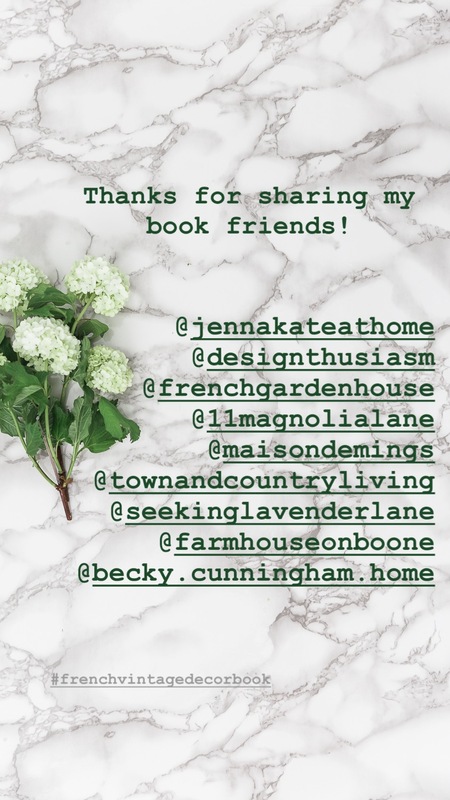 More sweet friends of mine are helping me promote my book and they are also hosting a giveaway so you have more chances to win! Lidy from French Garden House wrote a beautiful article about me and my book (thank you so much, Lidy!) and is having a giveaway for another signed copy of my book. 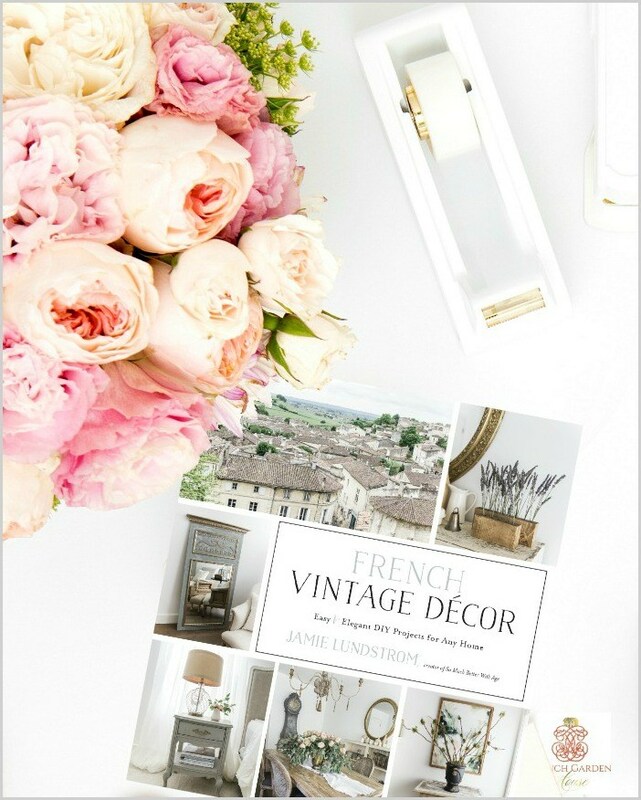 My sweet friend Jennifer from Town and Country Living is also have giveaway for a signed copy of my book! 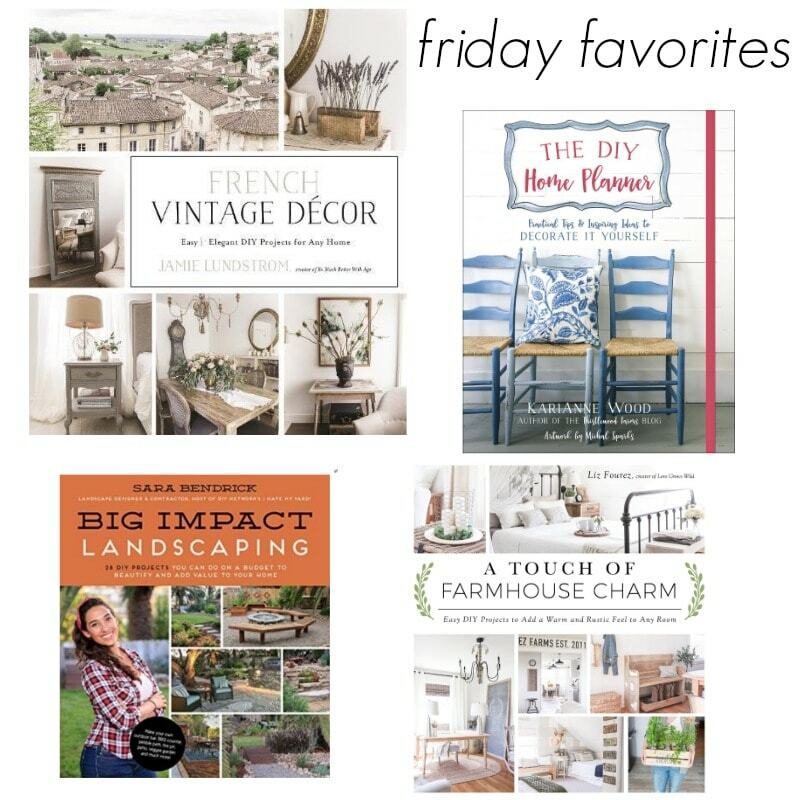 My friend Jenna from Jenna Kate at Home also added me to her Friday Favorites along with some other amazing books. Thanks Jenna! Be sure to enter by following the prompts on the blue box below & good luck! 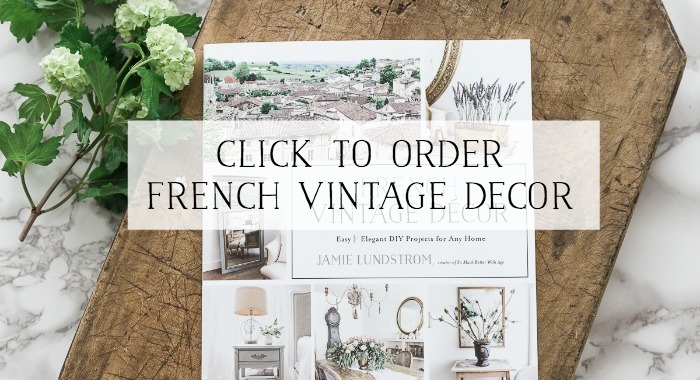 French Vintage Decor Projects from Blogger Friends + Giveaways! I would love to win a copy of your new book. Thanks for the chance to win, I’ve been waiting to order this! Hi Jamie, I love love you site. I would love to win you new book!! I would love to win a copy of your book. It looks fabulous and a definite page turner. Congrats on such a beautiful book. I can hardly wait for your book to arrive!!! It looks amazing. Since I have already ordered a copy for myself, I would love to win one for my daughter. Thanks for this opportunity. I can’t believe your giving this new book away.Simply beautiful! I can hardly wait to get my hands on this book – going to the top of my most wanted! Your book looks just beautiful and even though that is not my style of decorating I know I will pick up some new pearls from it. Don’t see how you can possibly do a book – I can’t even do a good letter. Congratulations on your book!!! Simply beautiful! Your style of decorating is amazing. Of course I’d like to win! Great giveaway. I preorder from Amazon. I love one as a giveaway. I’d love a signed bookplate. Such an exciting time for you and it has been fun sharing the excitement in reading your blog. I am so thrilled for you! It looks like a wonderful book. Thank you for the chance to win! I would love to win a copy of this beautiful book. Thank you for giving us this special opportunity. The Book looks beautiful and I would love to win a copy. Congratulations! Thank you for the opportunity to win a copy of your book. Congratulations on your gorgeous new book, Jamie! The photography and projects are wonderful. I’m so happy for you that it’s already going well! Oh my goodness would I love to win your lovely book! Congratulations on your beautiful new book! Hoping to win your GORGEOUS new book! Congrats!! Congratulations on writing & completing your book. We have a couple of vintage items, and some farmhouse style, and only a couple French decor accents. 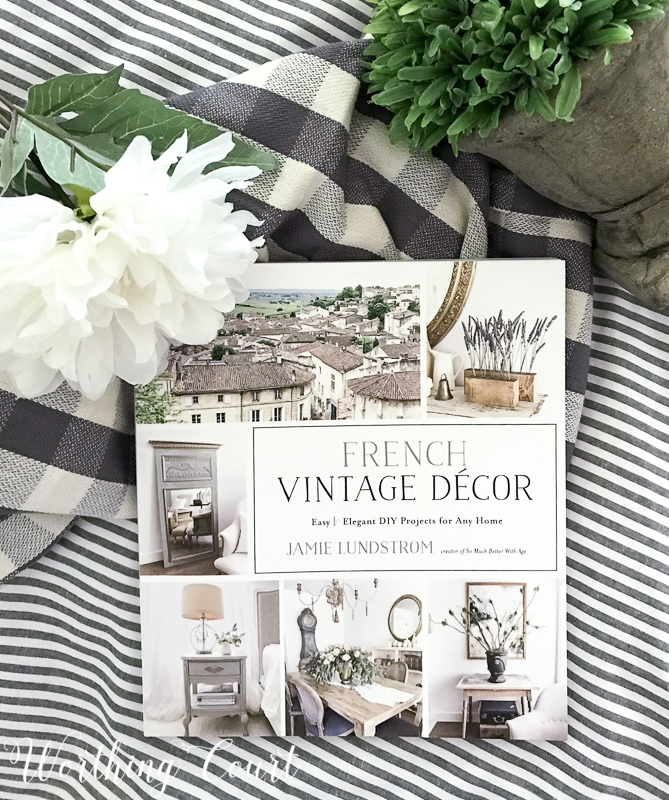 Since my husband lived in Paris for 2 years (many years ago) it would be amazing to learn more about ways to add French style. Congratulations on your beautiful new book! 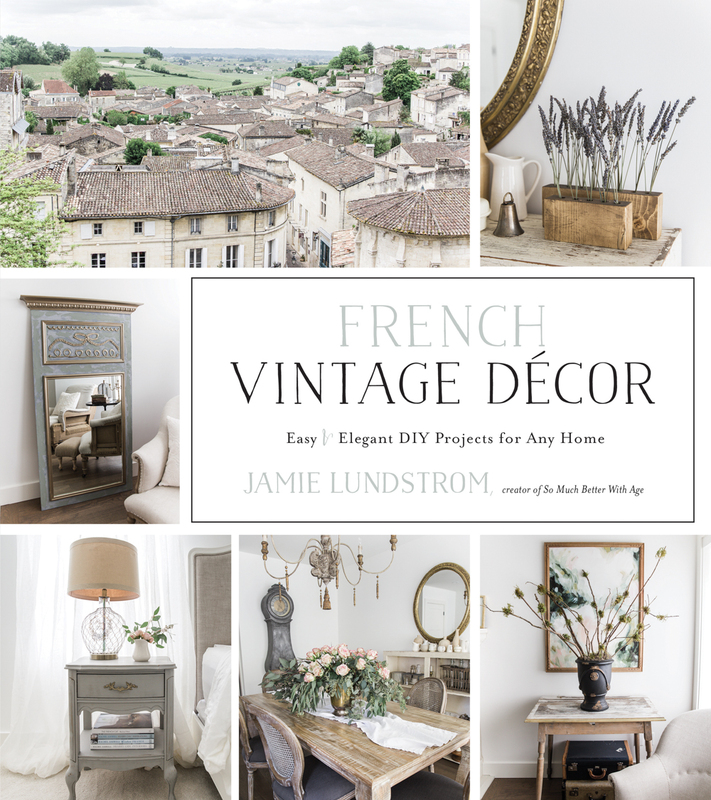 I love anything French, and would love to have a copy of your book! Love you, love your style!! I would love to win a copy of your book! I love your style and enjoy reading your blog. Good luck, I am sure the book will be very successful! I’m trying to enter using my phone! I would love to add your lovely book to my collection! And, I will also miss (meeting) Suzy and Yvonne at Haven! What a lovely book, I would love to win your book! Oh my, yes I would love to win your new book! The book looks absolutely lovely! Thank you so much for the chance to win! Congratulations on your new book! It looks beautiful and can not wait to see it in person! I would love to win a copy. Thank you for the opportunity!! Thank you so very much for this wonderful opportunity. I am so excited for your book! I would love to win a copy of your book! I love your style and from what I’ve seen of the book, it appears to really capture that and provide some wonderful DIYs. Count me in and thanks! Love your blog. Thanks for putting great ideas out there for all of us to tweak for our own homes. Blessing to you as you continue to go forward. Congratulations on your new book! What an exciting time! I would love to win a copy! Jamie, Congratulations! You must be so excited! I’d feel like it was Christmas in July to win a copy of your beautiful, creative book! 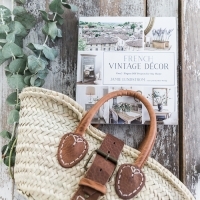 I love all things French and look forward to checking out this lovely looking book. I got to your site through the link from Yvonne at Stonegable. 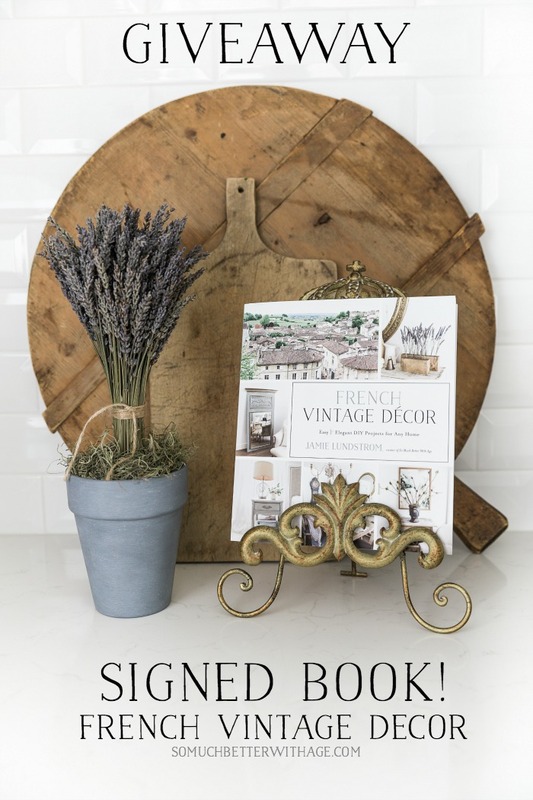 I would love a copy of your new book I am always looking for ways to make my home interior more French . Congratulations on your new book. 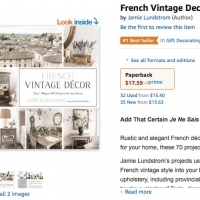 I would love to win a signed copy since I share your love for French style. Congratulations on your book, it looks wonderful and thank you for the chance to win a copy of it. I would love to win a copy of your book! It looks amazing!!! The book look beautiful and I would love to win a copy to copy some projects. Congrats on your new book! I can’t wait to read it. It looks BE-U-TI-FUL from the article! Publishing a book is a lot of hard work. I wish you much success with it! Congratulations on your gorgeous new book. The photography and projects look wonderful. This book looks right up my street and I love to be inspired and do projects. This would also be a great present for my mum. Thank your inspiration and talents. I like your style so much. Need your book! I would love to win a copy of your book to enjoy while I recover from back surgery. The projects sound exciting. I love the mirror on your book cover! Thanks for the inspiration you share in all your posts. I look forward to your blog and the beautiful, charming ideas. Your blog is real and from the heart! I do hope to win your book but either way, I am already a winner when reading your posts. 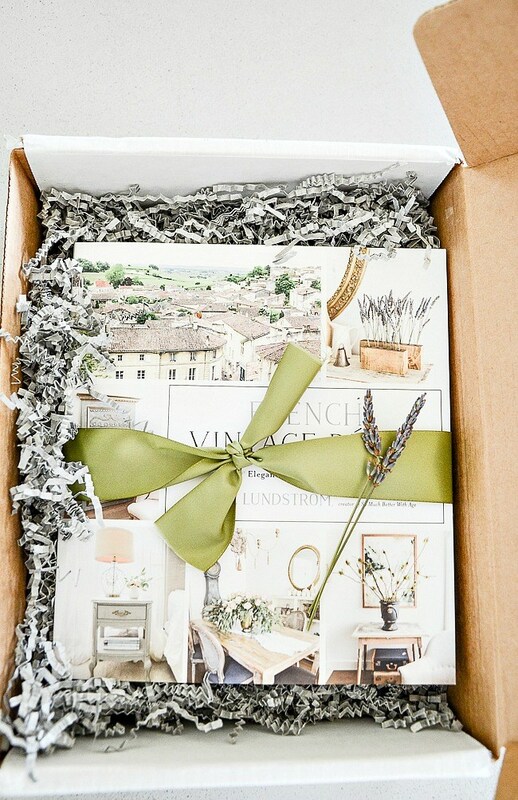 With 70 DYI projects, I be very excited to win your book and get started, making some beautiful things. Pick me please! I stumbled upon your blog by reading Karianne Wood’s blog, as I regularly do, and was so tickled to find you and your new book. It would be fantastic if I were to win a copy but, I will buy it regardless, ASAP. I peaked at some of your ideas and can’t wait to do them. Best of luck with the book !!! I would love to win your book. This would be my first piece of French. I would love to win your book. 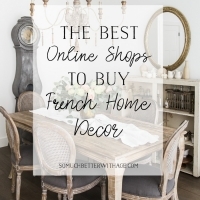 I would like to learn more about French decor!! I would love to win your gorgeous new book! Thank you for the opportunity to enter! Just found out that I’m part French in my family so this would be perfect to start living a life of French. Love the pictures! If the inside of your book is anything like the cover, I can’t wait to read it! I would love to win a copy. Best of luck with the release of your book! Just beautiful! So impressed with your style! I’d love to win a signed copy of your book. I have already ordered one but would love to win a signed copy! I would love to win a signed copy of your book! 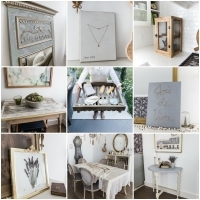 I have recently move to a new home that needs some personalization and French inspiration. My favorite is anything French, so I’m crossing my fingers that I’m the lucky one to win this ! Congratulations on your book! Crossing my fingers I win!! Looks like a great book! I would love to win a copy. Thanks for the opportunity! I would love to have a copy of your book. I would love to win a copy of your book. Thanks for the opportunity. This book looks gorgeous! I love following your beautiful style on Instagram, and would love the chance to get a copy!! Oh, Jamie. We’re all so danged proud of you! Congrats in the biggest way! I would love love love love to win your newest book. Thank you very much for the opportunity. Congratulations on your book!… proud of your work 👏🏼👏🏼👏🏼… and would love to get my hands on this book.